1. In the stage play and movie THE ODD COUPLE, the character FELIX UNGER's soon to be ex wife is named FRANCIS. Yet, when the play and movie was adapted to a TV show, the woman's name became GLORIA. Why? 2. In the Marvel comic and later animated THE INCREDIBLE HULK, the scientist whose gamma ray accident causes him to transform into the creature is named BRUCE BANNER. And keeps that name when the 2008 movie is made. But for the '70's TV show, his name becomes DAVID, with Bruce moved to being his middle name. Why? OK, a 3rd: In the 1947 movie MIRACLE ON 34th STREET, the lawyer who helps Kris Kringle at his sanity hearing, is also the love interest of MAUREEN O'HARA's character, Doris Walker, and he's portrayed by actor John Payne, and the character is named FRED GAILEY. However, for the 1994 remake HIS name is changed to BRYAN BEDFORD. Again, WHY? Know of anything else that fits? THAT we officially have on record: Bruce wasn't a popular hero name in the 70's...'Nuff said. Edward Norton and Mark Ruffalo were properly named, however, as Marvel is loyal to its sources. ...You're deliberately baiting these questions, aren't you? I can answer this one. This will sound ludicrous, or at least it did to me, but it's true. The network executive overseeing the show said that "Bruce" sounded too "gay", like the kind of name only a gay man would have, so he insisted that the name be changed. There are other reasons given, depending on the source, such as the producer not wanting an alliterative name (Bruce Banner) since he felt they sounded too "comic book-y", while another source says that the producer wanted to honor his own son by giving Banner the same name, David. But the "CBS thinks Bruce is gay" reason is the most frequently cited. You've gotta admit that the name Fred Gailey is old-fashioned (so is Doris Walker, but one name at a time). Perhaps the film's director, Sir Richard Attenborough, had Brian Bedford -- his co-star in the 1960 drama "The Angry Silence" -- in mind. Maybe sometimes it's because certain names sound stereotypical and connote the wrong image for the character, so things have to be updated. In Evan Connell's two books, Mrs. Bridge, and the follow-up Mr. Bridge, the well-to-do family's black housekeeper is named Hazel. The first book was published in 1959 two years before Shirley Booth's classic sitcom character hit TV screens. The other book was not published till 1969. 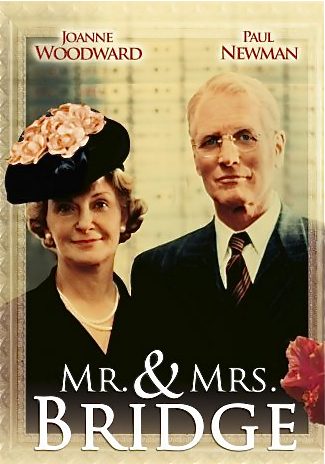 When Merchant-Ivory decided to adapt the novellas for a feature film in 1990, their frequent screenwriter Ruth Prawer Jhabvala renamed the housekeeper Harriet. I don't think Connell minded. I had seen the film first, so when I read the books it seemed funny that she was originally called Hazel. Though readers in 1959 wouldn't have thought it was funny at all. I really like the books of Evan Connell and I thought this was a very well done movie. I live in that neck of the woods and the books and movie really depict that era in Kansas City well. LES MAYFIELD was the remake's director. and maybe he too, recalled Sir Richard's earlier co-star, or screenwriter George Seaton, who also wrote the original, changed it for some reason. 2. LAWRENCE: I had heard the "Bruce sounds gay" reason for the name change for THE HULK before too, and just thought it urban legend. And too, come to think of it, in the former case, the name "Gailey" probably bothered some production suit, and the change was insisted on. doan forget on M*A*S*H. at the show's beginning colonel blake's wife is named mildred but soon it became lorraine. mildred does sound like an old lady's name. then later on in the series it's back to mildred for col. potter's wife's name. M*A*S*H's continuity was all over the place as well as accuracy. in one ep blake brags about having the thing and the blob in one week. the thing was a 1951 movie and the blob a 1958 movie...the korean war ended in 1953.
the incredible hulk series was the brainchild of some schtootz named kenneth johnson who blatantly disregarded all comic book canon but the infuriating thing to me about that show is if I were gonna do a hulk primetime series, bill bixby woulda been on the top of my list to play banner. an excellent casting choice but the series was still watered down TV BS and that schtootz stan lee let cbs and johnson do it. I think back then there was this notion on the part of schtootz network execs that comic book fare would not translate well to weekly series television in it's straight form and had to be 'developed' for television by schtootzes like kenneth johnson. johnson probably thought he was hot bleep because of his work on the six million dollar man and was responsible for that show's degradation with his jaime sommers bionic woman HS. Oh, that's right! Attenborough was Santa, wasn't he? Very interesting. I can see changing a name where the first and last name start with the same letter. For some reason that sometimes sounds 'odd'. This will sound ludicrous, or at least it did to me, but it's true. The network executive overseeing the show said that "Bruce" sounded too "gay", like the kind of name only a gay man would have, so he insisted that the name be changed. I'm reminded of the Simpsons episode with John Waters, where Homers says "the gays took all our good names, like Bruce, and Lance, and Julian." Close to 20 years ago, I heard an interview with some author who had written a book about the meaning and use of names, who pointed out that in books and movies, Bruce had come to mean either stereotypically gay, or stereotypically Australian. That prompted a caller to call in and joke that he had a gay Australian friend named Bruce, but he kept going back to Sydney. On the TV show The Greatest American Hero, the changed the surname of the main character because the original was too close to Hinckley, the man who shot Ronald Reagan. A name is old fashion for a new generation because few of those under, say, 40, seeing the film grew up with others with that name and instead it is a name they associate with their grandparents. Fred to me is a good example of this. As for 'be OK'; say what???? Of course it is OK to make whatever changes those making the film wish to make. E.g. when the actors come from a different ethic group. Romeo and Juliet could become Juan and Carmen. You site familiar stories: maybe to YOU, but not to a new generation of movie goers. I wonder if kenneth johnson had even read a marvel comic book? stan lee just didn't have the cahones to stand up to the network execs in nyc and put his foot down and say 'hey! I'm not gonna let you guys distort one of our comic book creations beyond all recognition.. you wanna primetime hulk series? alright, but you'll do it our way...the marvel way! that's what lee shoulda done. Brian Bedford was a fantastic actor. I saw him in the lead role of the play, " Whose Life Is It Anyway?" I wonder if the fact that Brian was gay had anything to do with an inside joke or double entendre thing? and I can say that...by 1975 my comic book collection numbered in the hundreds. I must've had over 400 comic books that I started amassing about 1969. marvel, DC, charlton. so my opinion is expert. so they change names? big deal. talk about something truly horrible why doancha like star trek discovery. In The Fugitive tv series, the relentless detective after Dr. Kimble was named Philip Gerard. When the movie came out, the name was changed to Sam Gerard. Guess Tommy Lee Jones looked more like a Sam than a Philip. In the film Voyage to the Bottom of the Sea, Del Monroe played a character named Kowski. In the tv series, his name was Kowalski. This is only a TV show, but when Doris Singleton was first introduced as one of Lucille Ball's friends on I Love Lucy, her name was Lillian Appleby. After that one appearance her name became Carolyn Appleby. But the writers made a lot of changes on that show...the Ricardos had a different phone number every season! In the original books by Thomas Harris, as well as in the movies The Silence of the Lambs, Hannibal, Red Dragon, and Hannibal Rising, and in the TV series Hannibal, the cannibalistic serial killer is named Hannibal Lecter. But in the first movie adaptation, 1986's Manhunter, the character's last name was changed to "Lecktor". Why? You'd have to ask screenwriter-director Michael Mann. In the comic book version of the Hulk, the scientist who got bombarded by gamma rays was Bruce Bannon. In the TV series, his name was changed to David. I suppose in the pre-Bruce Willis days, "Bruce" was considered too "limp-wristed". all I knew of black panther at the time is that he was one of the avengers. I did buy some issues of luke cage, hero for hire. I never felt that way. what about bruce wayne or bruce lee? Oh c'mon now, Nip! You're gonna tell me you've never heard those little rumors about Batman and his "boy wonder" Robin?!! !